The ‘Information Products’ industry is a huge and highly lucrative business. Unfortunately there’s no “Information Products Industry Association” that keeps detailed statistics on the industry. So you’ve got to trust me when I say it’s huge. It also provokes different reactions in people. Others can’t wait till the next $299 eBook on “How to Become an Internet Millionaire” comes out. Whatever the reaction, it’s the hard-working landing pages of the world that do the job of selling information products to consumers. Probably the largest contribution to our present body of knowledge on landing page best practices have come from Infopreneurs, those tireless Internet marketers who create, produce and sell thousands of information products a year. These infopreneurs create e-books, e-courses, membership sites, coaching packages and multi-media classes. Some of the most famous are Teaching Sells by Copyblogger Media, The Brain Audit by Sean D’Sousa, and Strategic Profits by Rick Schefren. Brian Massey calls these guys the “Bad Boys” of online marketing. They’re so effective, as Massey explains, because they test the hell out of their landing pages. •Long copy is better than short copy. 19,000 pixels is an acceptable length. 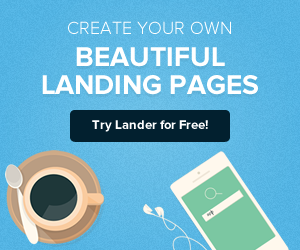 • Hard-hitting headline: you want your customers to read your landing page right? Give them a reason to. • Provide an alternating bold bulleted list. • Use Johnson Boxes to focus your customers’ eyes on important information. • Provide lots of social proof: testimonials are great, testimonials with photos are better. • Provide a risk-reversal or a guarantee or a promise that removes the risk. • Provide a prominent Call-To-Action, eg. a “Buy Button,” preferably yellowish-reddish. • Sometimes you want to continue to market to people you don’t sell to, so provide a way for them to subscribe to your mailing list. A pop-over in a light box is very effective. • Provide an offer: what is your offer? Can you make it irresistible? • Capturing abandons: be careful with this one, it can really irritate your audience. 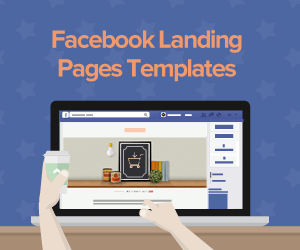 There are more best practices, but these are the most relevant to landing pages. But what about before your prospects get to your landing page? How do you get information product customers to your landing pages? How can you make sure when they get there they’re more likely to buy? Infopreneurs have perfected what is known as The Product Launch Sequence. This is a marketing campaign that is delivered over time, whose prime goal is to build up such a strong desire for our information product that the “sales letter,” or landing page, becomes just the icing on the cake. Also, Sean D’Souza provides an overview on the “pre-sell”, the method he used to build up demand for his $2,000 + article writing course. What does pre-selling consist of? First you need to turn strangers into friends.You can’t sell a $2,000 course, or even a $119 e-book, to somebody who isn’t familiar with you. That’s why you want them to subscribe to your email list so you can send them a sequence of emails that gets them to ‘know’, ‘like’, and ‘trust’ you over time. Give first before you receive. Leveraging the ‘law of reciprocity,’ the more you give, the better. Make sure what you give your audience is very valuable. Can you provide a free PDF report? Can you offer a how-to video? What about a free seminar? How about a useful article? Use scarcity to your advantage. When you finally announce your information product, you should always have a limited time or limited availability offer. Sean Copyblogger only offers 500 places for their Teaching Sells course. D’Souza only makes 34 seats available for his Article Writing Course. Scarcity makes your customers want your offer even more. Tell a story.Get your audience emotionally involved with your product launch sequence. Tell a story about how you overcame adversity, and the information product is the result of the lessons you learned. Tell them a story about people like them who achieved success with your information product. Humans respond to stories – so tell a story! Leverage social media. Provide lots of opportunities for people to share your viral videos, articles and free reports through social media. The more value you provide for free, the more shares you’ll get, and the bigger your pre-launch mailing list will become. Build up your offer – then surprise them. Build up so much value about your offer, so that when you finally announce the price it will look small compared to what they thought they were going to pay for your product. You can do a superb job of pre-selling your information product, but you won’t actually close the sale without a well-designed landing page. • Launch a pre-sell product launch marketing sequence. 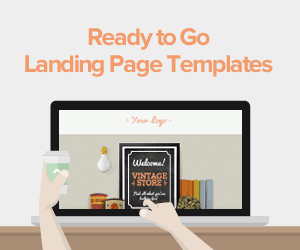 • Build a long landing page (how long? As long as it takes to close the sale) with the necessary copy, guarantees, and social proof necessary to achieve your goals. • Finally, don’t sell a crappy product. 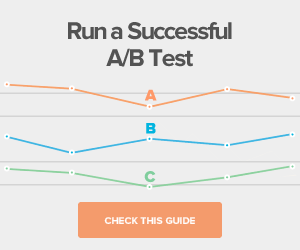 For more information on landing page best practices, read the other articles in our series.